Submit a Q/ISP Challenge exam or related Q/ISP exam ( Q/EH, Q/SA. QFE, Q/ND) registration and fee at least 15 days prior to the desired testing date with your current resume. Within 1 business days of receipt of Q/ISP Challenge Exam registration and resume, SUT will call and send the individual an authorization to test e-mail confirming eligibility status and providing a link to the Testrac website where he/she can pre-register for the Q/ISP Challenge examination. Register at the Testrac website and send email to SUT to schedule the examination. Students leave the exam with test score report indicating whether s/he passed the Q/ISP Challenge Exam. Passing the exam does not mean you have earned your Q/ISP Certificate, this means you have passed a certifying exam that is part of the Q/ISP Certificate of Mastery steps. Each of these steps is explained in greater detail in the remainder of this Handbook, specifically, the “ How to Apply for Q/ISP Certification Challenge Exam ” section. The application form must be filled out online, a check can mailed prior to the exam. Certification Fees (US$),effective January 26, 2012. If challenging the Q/ISP exam, the fee is $250 - 2 weeks before you exam date. If you challenge the Q/ISP exam, and have not completed the Q/PTL, Q/FE, Q/ND Practical's you have 180 days to complete the practicals after you pass the Q/ISP exam with a score of 85 or better. All Q/ISP related exam fees Q/EH, Q/SA, Q/FE, Q/ND are $150 individually. Retest fee is $50 - there is a 2 day wait period between the fail test date and the retest date. Renewal fee $ 25 A every renewal fee pays for someone to review your exam, so pay it! Examination Withdrawal You want to withdraw? tell us where to send the check, less a 10%. Show us early - eligible Candidates should report to the exam center 30 mins before you exam. And bring your exam email receipt. Bring 2 (two) valid forms of ID - a government-issued photo ID with signature (driver's license, passport). The first and last names on photo ID must match exactly as submitted on the application. If you goofed and used the wrong name on your application, you have 24 hours prior to their exam date to change your exam NAME, not your exam date. When taking an Q/ISP exam or Q/EH, Q/SA, Q/FE, Q/ND exam, you are required to do a digital signature and digital photo (including remote exams) taken online when checking in. Candidates test information is recorded in English. For certain countries a candidate does not have their English name printed on his/her passport, the candidate must translate his/her name into English to match up to the required ID policies noted below. Testing center staff will verify the names on the two presented IDs match the exam application/eligibility documents. Note: Candidates will not be admitted to take the exam if any of the above requirements are not met. Note: Anyone who arrives after the assigned testing appointment time will be considered a “no-show,” and will be required to re-apply and pay a reinstatement fee in order to take the exam. The exam proctor will keep the official time and ensure that the proper amount of time is provided for the exam. There is a countdown timer in the upper left of the screen that will display the amount of time left. The candidate will be reminded when logging in to the testing center computer screen prior to being allowed to take the exam that he/she has agreed to the Code of Ethics and Professional Conduct. 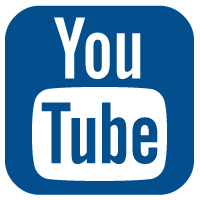 NOTE: Applicants and stakeholders should download the most up-to-date free edition of the SUT Candidate Handbook that may include important policy and procedure updates by going to the SU website at http://www.securityuniversity.net/sut_testcenter.php. During the exam, candidates will have access to a wipe-off note board(not in use!) provided by the testing center. Candidates will have the capability to well as mark questions and return to them for review. Nothing is PERMITTED in the exam room or center. Questions concerning the content of the exam will not be answered during the exam. Restroom breaks are permitted but are included as a part of the 120 minutes for the exam. (needed to be reworded to reflect that timer does not stop for breaks and that breaks must be recorded by proctor. If any candidate is unable to arrive at a designated exam site because of inclement weather, terrorist acts, a natural disaster, or other unforeseen emergencies beyond control of the candidate as determined by SUT , the candidate will be allowed to take the next regularly scheduled examination without being charged a re-examination fee. Any problems, suspected instances of cheating, alleged inappropriate examination administration, environmental testing conditions severe enough to cause disruption of the process, or other irregularities related to test administration should be addressed to the onsite proctor or to staff. All such matters will be reported, investigated, and subject to further action based upon and procedures adopted by SUT. SUT will take all available precautions to ensure the appropriate and secure handling of completed tests. In the rare and extreme case when something causes the test not to be completed, candidates will be required to undergo retesting, without being charged a re-examination fee. Candidates will be responsible for their own travel-associated expenses for testing. Candidates in violation of SUT testing policies are subject to forfeiture of exam fee, disciplinary and/or legal action with documented incident report to SU management. 1. 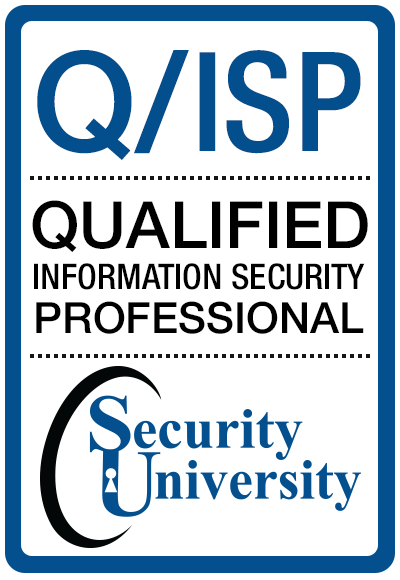 Registered for the Q/ISP certification as a SU-Testing candidate or have passed the following exams with a 70% or better - Q/EH, Q/SA Q/PTL, Q/FE, QND and complete the Q/PTL, Q/FE, Q/ND hands-on tactical Security Practical reports. Any individual who is observed cheating in any manner while taking the exam will be subject to disciplinary and/or legal action. Sanctions could result in removal of the credential or denial to apply for any SUT credential.– can't have a credential removed if they are dismissed during exam because they don't have the credential yet.